This November and December, Norfolk’s cancer charity, Big C, is calling for local community choirs and musical groups to raise money for the charity at their Christmas performances. 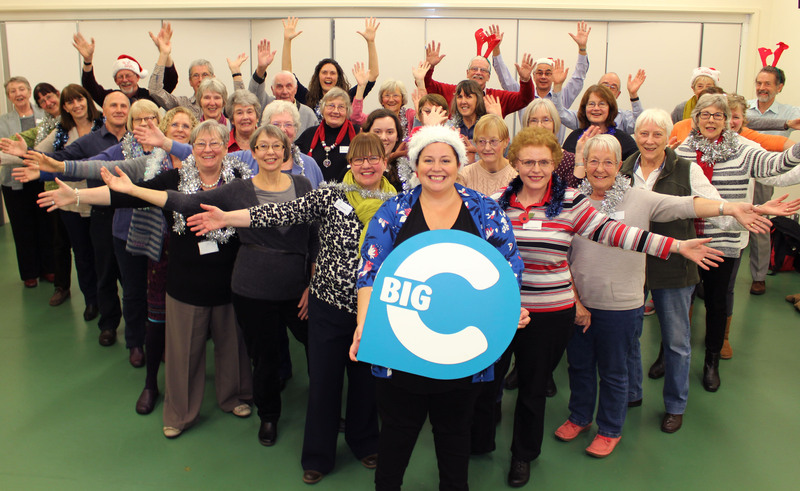 Last year’s Big C Christmas Carols raised more than £10,000. Performances included Norwich High School for Girls Junior Choir, Simply Sing King’s Lynn Community Choir, Ellingham and Great Dunham schools, Wymondham College, and the children’s ILUVUKE band, as well as staff from the Institute of Food Research, Wymondham’s D’Capo, the Keswick Hall Choir, Big Heart and Soul Choir from Castle Acre and the Fakenham Town Band. Big C was founded in 1980, when two young men from Norfolk found themselves with cancer and having to travel to London or Cambridge for treatment, often finding this journey harder than the treatment itself. They vowed the people of Norfolk and Waveney would have access to the best treatment and support in their local areas. Today Big C funds ground-breaking cancer research at the Norwich Research Park and state of the art surgical and diagnostic equipment. The charity also has four drop-in support and information centres across Norfolk and Waveney that are used by thousands of people every year affected by cancer. This entry was posted in Aylsham, Cromer, Drayton & Taverham, Eaton & Cringleford, Hellesdon, Holt, Home Page, North Walsham, Sheringham, Sprowston, Wroxham and Coltishall and tagged Big C, chairty, choirs, christmas, norfolk on October 2, 2017 by Gay Webster. Here’s a chap to look out for when you are out and about on the coast. Alex Ellis-Roswell is walking 100 miles down the Norfolk coast to raise money for the six RNLI lifeboat stations in the area. 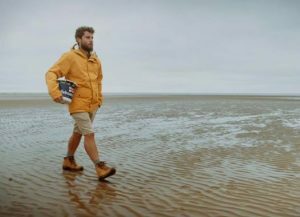 He started walking round the 9,500-mile coast of England, Wales, Scotland, Ireland and Isle of Man on August 3, with the aim to raise £10 for every mile he walks. 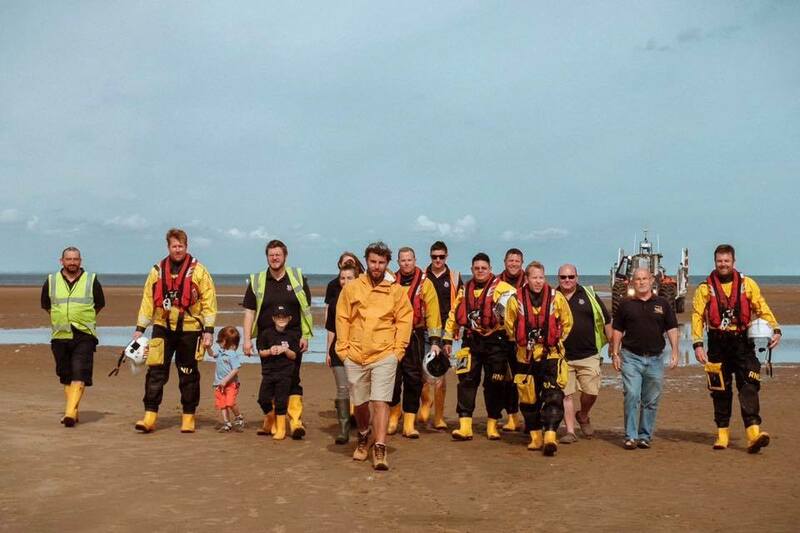 He has raised around £60,000 for RNLI lifeboats. He said: “If you see me walking over the next few weeks please donate/ beep/ wave/ thumbs up/ tea. And if you can offer somewhere dry and warm to sleep at night, please comment or message,” he said. You can follow Alex walking in Norfolk on his Facebook profile: www.facebook.com/alexellisroswell and donate to RNLI here www.bt.com/DonateToLifeboats. This entry was posted in Cromer, Home Page, North Walsham, Sheringham and tagged chairty, coast, norfolk, RNLI, Walk on September 6, 2017 by Gay Webster. 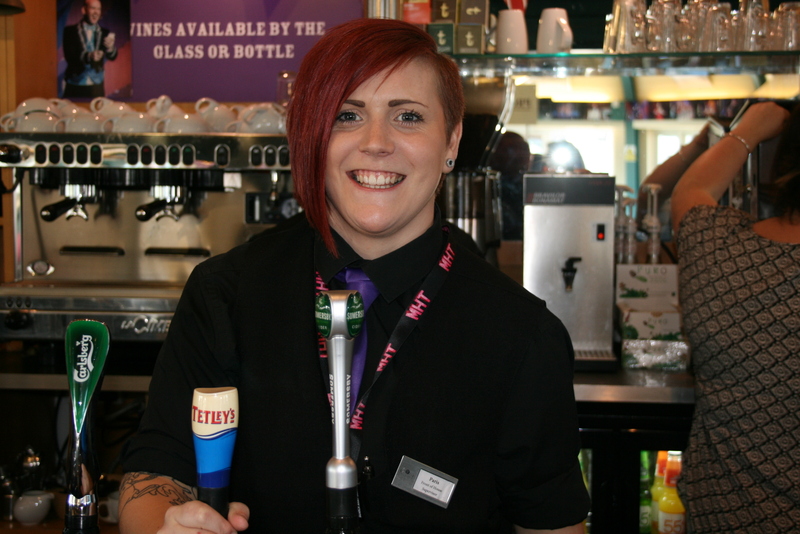 Cromer Pavilion front of house supervisor Paris Hay is taking a drastic measure to raise funds for Macmillan cancer care. She is “braving the shave” to boost the charity which has helped friends and family who have suffered from the disease. “I have lost friends to cancer and Macmillan is the charity which helps them when they need it,” she said. The date has been set for Friday, August 5, and Paris is ready to lose her distinctive red locks. She has timed the event to coincide with the dancers in the Summer Show collecting for Macmillan. So far she has had lots of support from customers and show-goers at the Pavilion Theatre on Cromer Pier, who have been putting donations in a collecting box to help her toward her £500 target. She also has a site for online donations https://bravetheshave.org.uk/shavers/paris-hay/. This entry was posted in Cromer, Home Page and tagged chairty, cromer pier, headshave, macmillan on July 19, 2016 by Gay Webster. The annual Norfolk Superhero Challenge on Saturday, June 25, will this year be in aid of the East Anglian Air Ambulance (EAAA), with the aim to raise £50,000 for the lifesaving charity. Starting and finishing at Burnham Overy Staithe, the challenge isn’t for the faint-hearted. It starts with a one-mile swim and four-mile kayak followed by a 45-mile cycle and finishes with a eight-mile run. In its 10th year and growing in popularity, 200 people are taking part in teams of two and all entrants must raise at least £150 for EAAA, with some gold bond runners raising £1,500. For more information on the work of the East Anglian Air Ambulance, visit www.eaaa.org.uk or call 08450 669 999. You can also follow them on Twitter at @EastAngliAirAmb or ‘like’ their Facebook page – East Anglian Air Ambulance Charity. This entry was posted in Home Page and tagged chairty, EAAA, north Norfolk, superhero challenge on May 16, 2016 by Gay Webster.